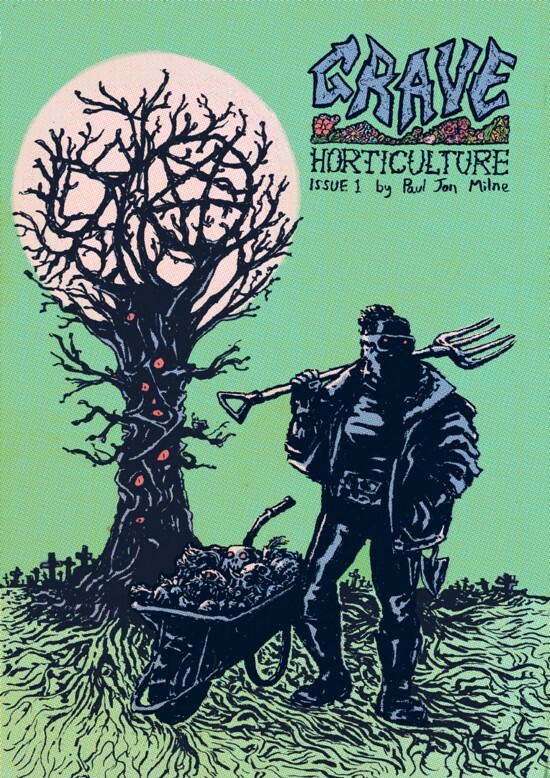 * Sarah Horrocks reviews GRAVE HORTICULTURE #1 by Paul Jon Milne " in which, through a tornado of iridescent regressions, progressions, and digressions, Milne sets out to tell the story of a phantasmic group of ghouls tasked with that age old problem of a world under cosmographic threat." * Alenka Figa looks at CHLORINE GARDENS by Keiler Roberts, writing "Roberts’ work will delight readers interested in humorous meditations on illness and its effect on everyday life." * Alex Hoffman reviews THINGS GO WRONG #1 by Jason Bradshaw, " a remarkably nihilistic comic that seems to be less about some strange parasite than about chronic depression, a disease that’s very common." He also reviews BY MONDAY I'LL BE FLOATING IN THE HUDSON WITH THE OTHER GARBAGE by Laura Lannes which is "both heartbreaking and very funny, and that combination exacts a higher emotional toll from the reader. The highs are higher, and the lows are lower." * Scott Cederlund reviews LITTLE LEAGUES VOLUME ONE by Simon Moreton, "a wonderful record of October 2018, creating an impression of Moreton’s life during those days without creating a mere journal of his experiences during that trip." * Matt Seneca looks at OUTDOORS by Yuichi Yokoyama which "has a theme that can be broadly stated and tracked down without much difficulty: that of man versus nature. But this isn't Hemingway - the "versus" according to Yokoyama indicates not a moment in time or a flashpoint of conflict so much as a constantly evolving process of mutual accommodation." * Kim Jooha on the work of SAMMY STEIN, who "is at the forefront of the new French Abstract Formalist Comics (or French Structural Comics), which employ minimalist, geometric, and graphic style with abstract narratives focusing on the formal structure of comics, similar to Structural Films from the 1970s." * Kevin Bramer on MY PRETTY VAMPIRE by Katie Skelly. * Dominic Umile on some of the work of cartoonist KARL STEVENS. 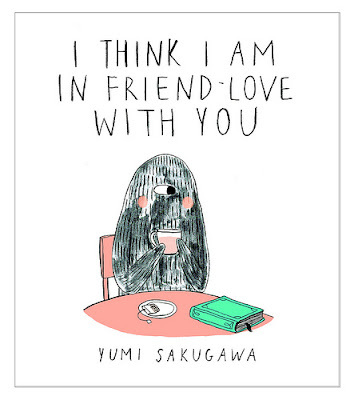 * Annie Mok interviews YUMI SAKUGAWA. * Gil Roth interviews SUMMER PIERRE. 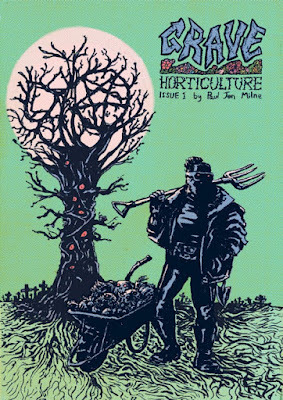 * Dakota McFadzean has a comic on The New Yorker site called THE REVOLUTION WILL ALSO BE VEGAN. * Tara Booth comic on Vice called S.A.D. LAMP. * Joe Decie has a comic up on Popula called IT'S NOT A LIE. * Mimi Pond has a comic up on Topic called WHEN THE MENOPAUSE CARNIVAL COMES TO TOWN. * Churning out those Top Ten lists! Here's Ryan Carey's FOUR COLOR APOCALYPSE 2018 YEAR IN REVIEW: TOP TEN SINGLE ISSUES as well as his picks for TOP TEN CONTEMPORARY COLLECTIONS. * An interesting mix marks THE 25 BEST COMIC BOOKS OF 2018 over on Paste. * Steve Morris asked "Almost 100 comic critics ... to submit their personal choice of the Top Ten Single Issues they’ve ever read" and is compiling one bonkers list called THE TOP 100 COMIC BOOK ISSUES. * Margaret Crocker has a poem on As It Ought To Be called THE ART OF ACQUIESCENCE.